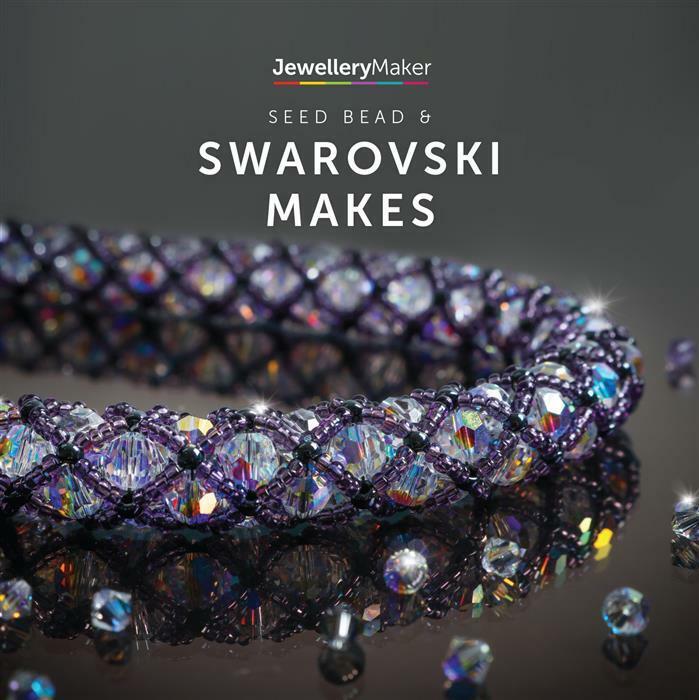 Grab this fantastic DVD brand new to jewellerymaker that opens up the world of Seed bead & Swarosvki. Mark goes through a selection of fantastic creations that you two can make along at home. Excellent tutorial, very clear instructions for some beautiful makes. as above. - .need I say any more. He really has excelled himself with this DVD which is intellegently and carefully displayed and at the same time inspiring whatever level of the viewer. Can't wait to watech & be inspired! So glad to get this DVD of Mark Smith's bought 2. Mark is such a good teacher and designer. Was cancelled by JM order was completely re-enter and they were not able to replace ithis item in this order due to IT error. Mark's Dvds are all brilliant. This is no exception. As always Mark's instructions are very easy to follow. The jewellery designs look complicated, but once he has explained how it is done it is simplicity itself. Always look forward to Mark's DVDs. great DVD, great teacher explains everything so well the best. Another great DVD from Mark, can't wait to get started. 9 customers did not leave a comment.